The number of Chinese believers of all faiths has doubled in two decades to an estimated 200 million, by official count, as the hold of the Communist party has weakened. Among them are an estimated 67 million Christians, including Catholics — a number that is expected to swell to become the world’s largest Christian population in a matter of decades. This rapid growth has reinvigorated the party’s longtime mission to domesticate a religion traditionally aligned with the West. Along with “thought reform”, the government is cracking down on Christians more aggressively through legal means. In March, a prominent Chinese house church leader with U.S. permanent residency was sentenced to seven years in prison after he built Christian schools in Myanmar. 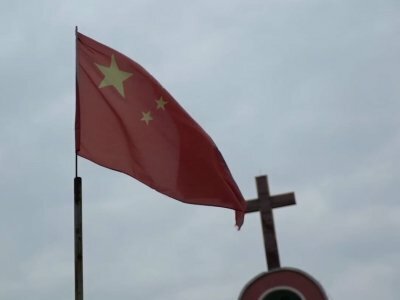 And half a dozen Christians were sentenced last month to up to 13 years in jail for involvement in a “cult,” according to U.S.-based Christian non-profit ChinaAid.